The girls attending are between 4 and 7 years old and I wanted to have a craft that was simple and they could do on their own. 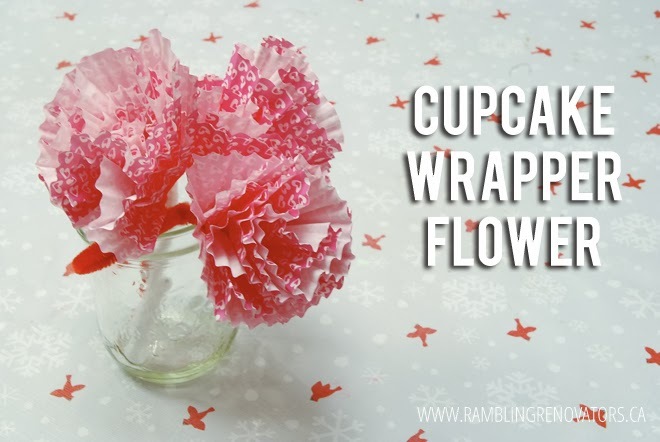 Cupcake wrapper flowers are nothing new, but every version I've seen involves a hot glue gun. So I've made this version glue-free and it is seriously the easiest valentine craft ever. Take 4 cupcake wrappers. Using a pencil or scissors, poke a small hole in the center of the wrappers. Take a pipe cleaner and create a small loop at one end. Insert the pipe cleaner through one of the wrappers. Wrap the wrapper around the pipe cleaner. Affix the wrapper in place with washi tape. 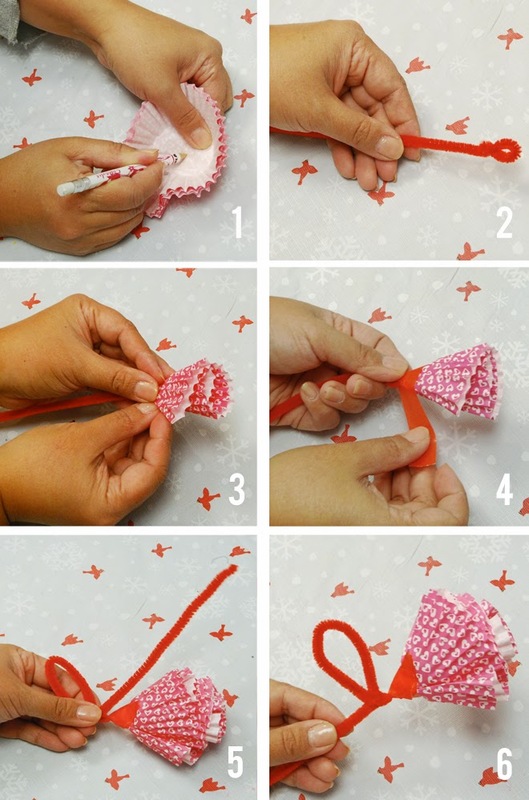 Repeat steps 3 and 4 with three additional wrappers to create the flower. Wrap the pipe cleaner around the leaf twice to secure the leaf and form the stem. 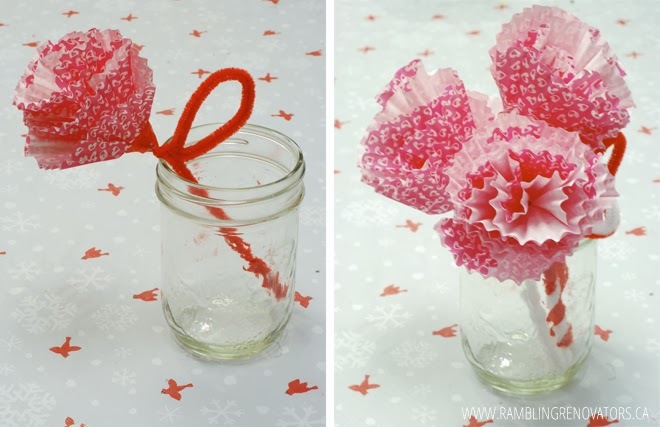 Super easy and pretty flowers, ready to give to your sweetheart! 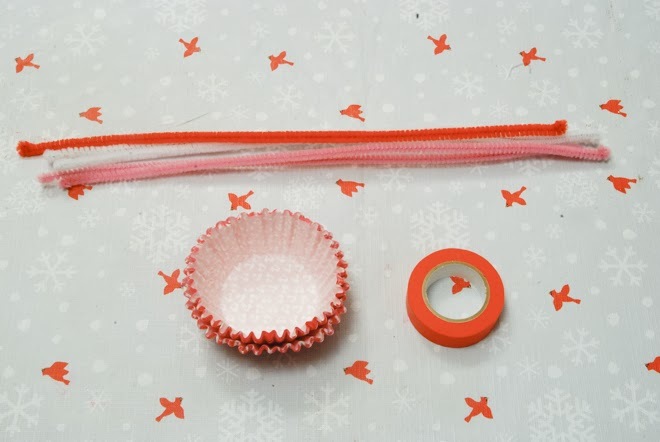 You can create different varieties by combining pipe cleaners (Chloe made the striped white and red one in the jar below) or using different patterns of cupcake wrappers.